GUITAR BOOK — Peak Design Co. Working with Rethink Communications and the Warehouse Studio we designed and built three custom "Guitar Books" - Notebooks with functional guitars built right into the cover. Since 1997, The Warehouse Studio has recorded some of rock ‘n’ roll’s most legendary acts – from AC/DC to REM, they’ve been there, done that. To promote themselves around the globe, they were looking for a notebook that musicians would want to take on tour. Armed with the insight that inspiration can strike at any moment, we set out to create a notebook that would act as both the source of, and place to record, a musician’s inspiration. 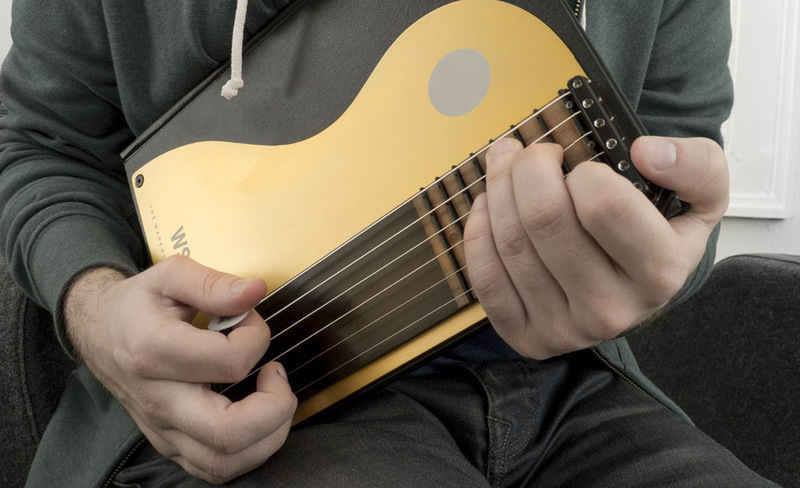 We brought this insight to life by creating a notebook with a fully functioning guitar cover. Each part of the Guitar Book was custom designed and built. From the laser etched anodized aluminum base (designed to withstand the hundreds of pounds of tension that the guitar strings place on the cover), to the wooden inlays on the frets, to the pen that doubles as the book’s tuning tool, the Guitar Book is a one of a kind. 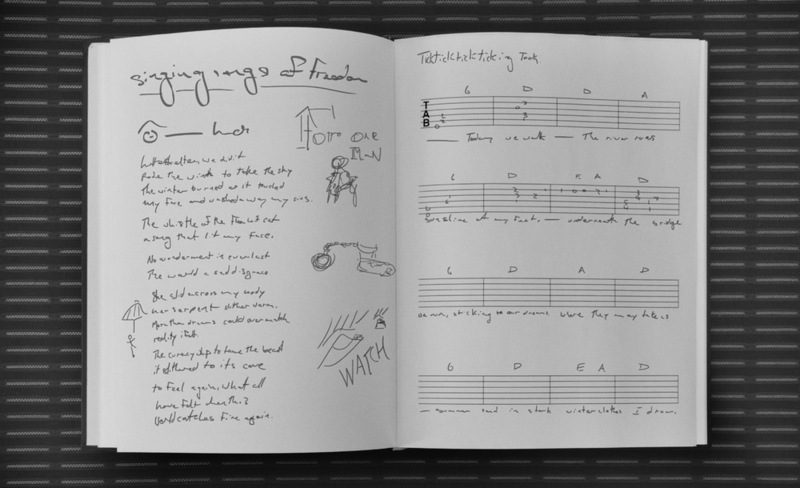 The inside pages were intentionally left blank, making it the perfect notebook to record music, lyrics, and other random thoughts. But the best part: it plays just like any other guitar, making it the most rock ‘n’ roll notebook ever created – and the perfect notebook for musicians to take on tour.